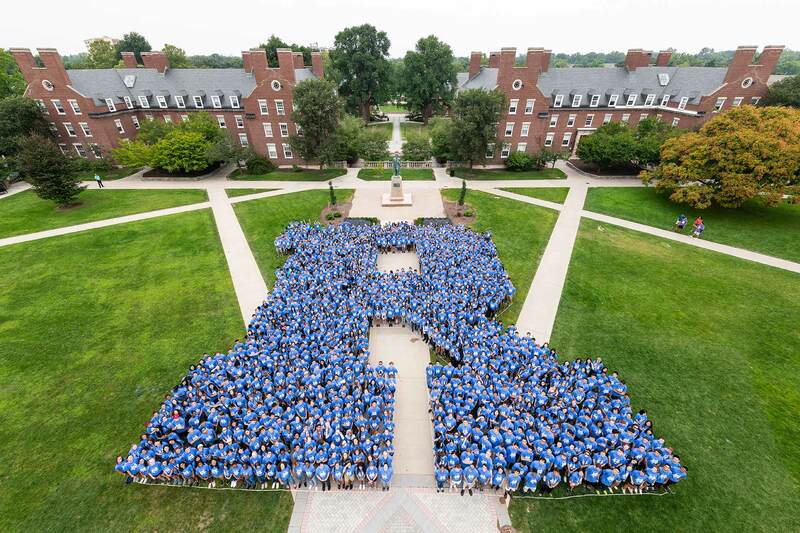 The Class of 2022 poses for a class portrait during its first week on campus. 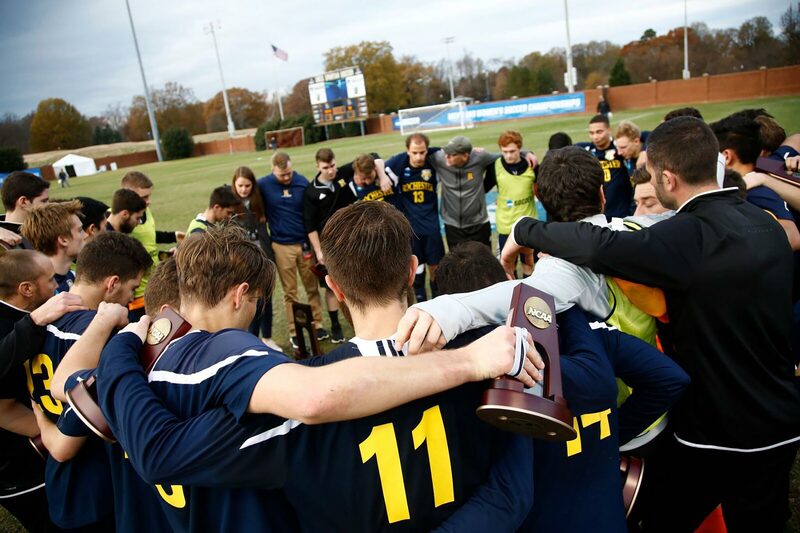 The Class of 2022 was the most selective ever, with a record number of applications. 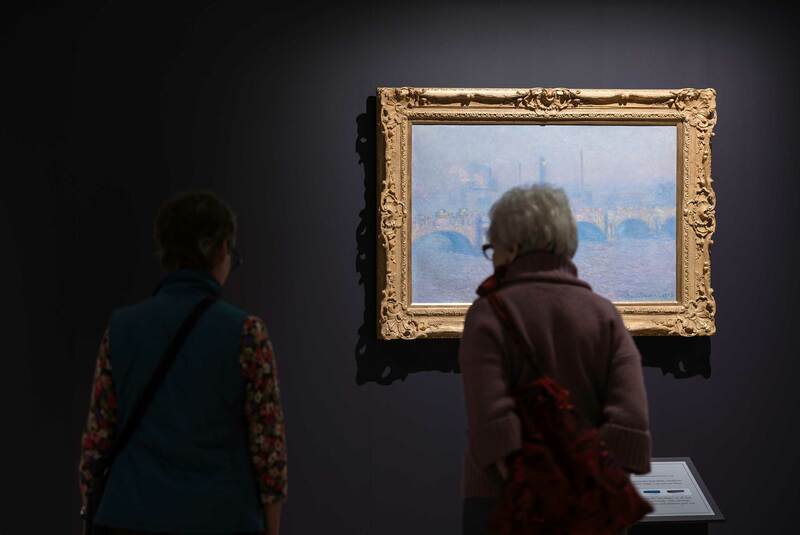 The University’s Memorial Art Gallery is one of the few university-affiliated art museums in the country that also serves as a community art museum. 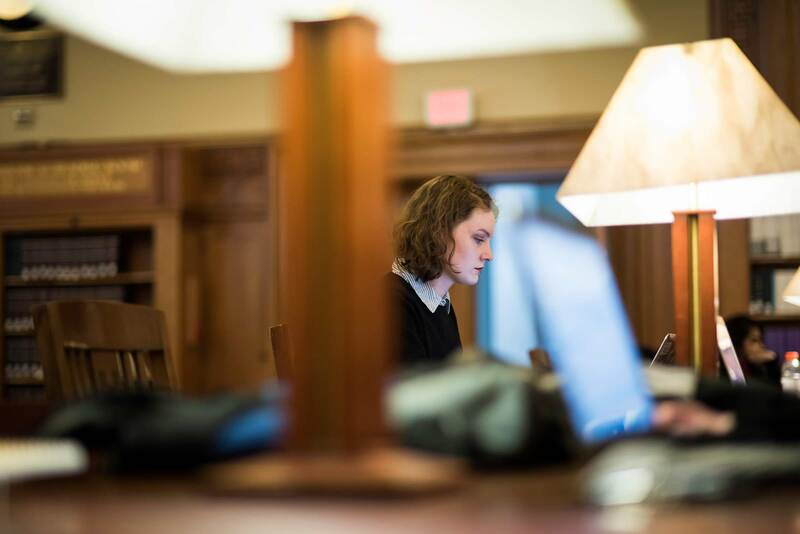 Interdepartmental digital communications major Aliye Gallagher ’19 studies in the Messinger Periodical Reading Room in Rush Rhees Library. 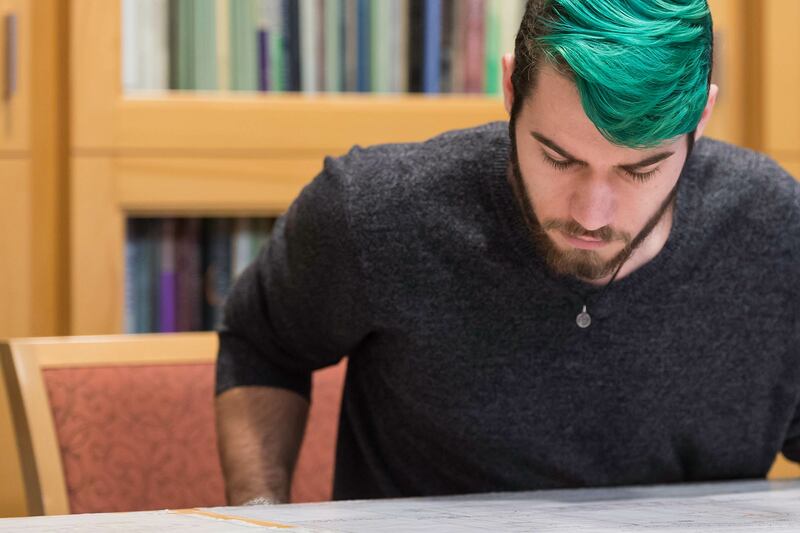 Rochester’s unique curriculum allows students to create their own majors or pursue double and even triple majors. 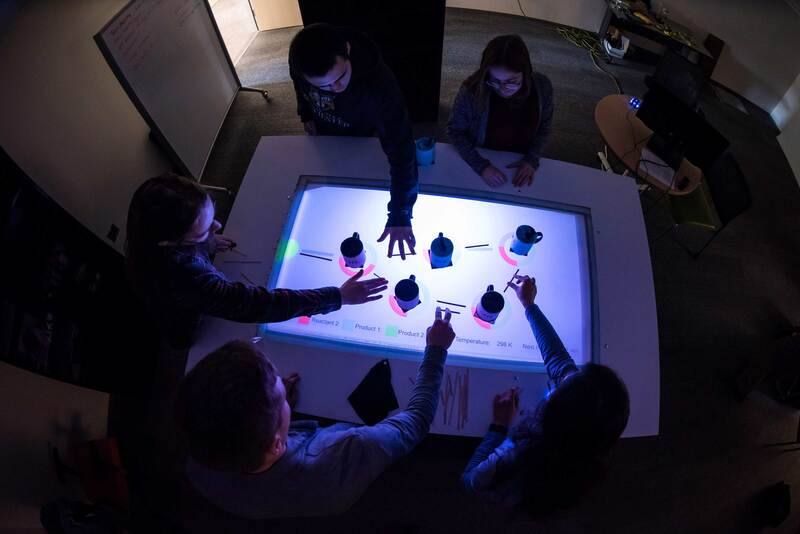 Chemical engineering students experiment with an augmented reality tabletop used to simulate reactions in a real-life, sprawling chemical plant. Augmented reality uses digital technologies to overlay video and audio onto the physical world to provide information and embellish our experiences. 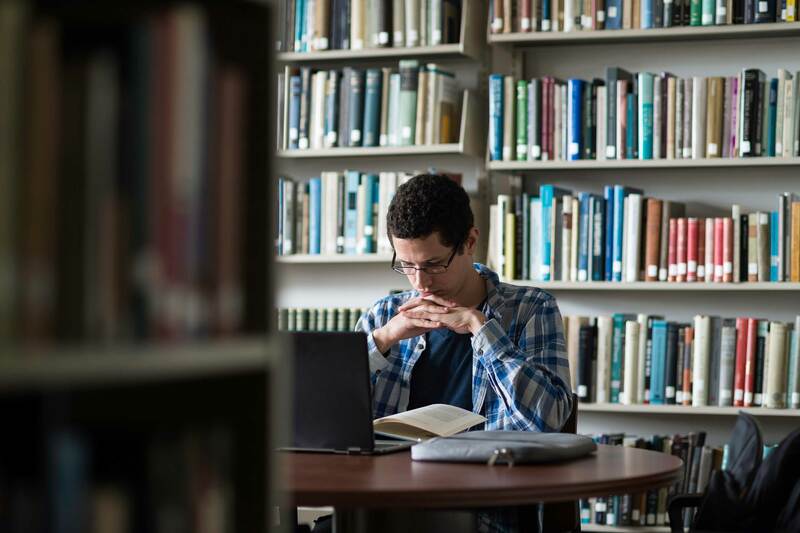 Yanssel Garcia, a doctoral student in philosophy, is primarily interested in understanding the nature of consciousness and its relationship to the brain. 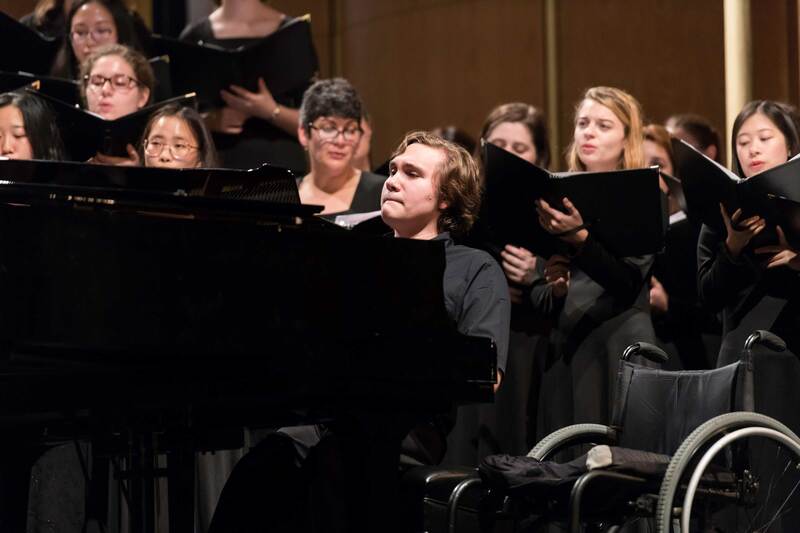 Seth Dalton ’20, a double major in math and music, accompanies a combined performance of the Women’s Choruses from the Eastman School of Music and the Department of Music on the River Campus. 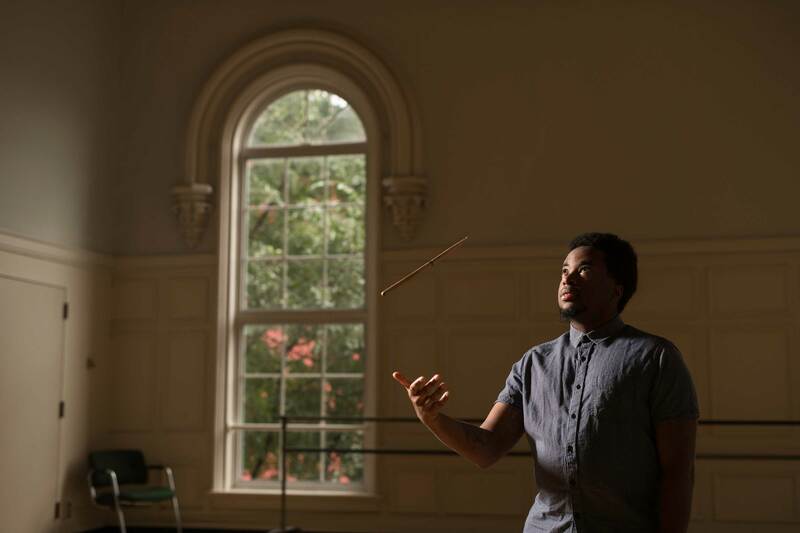 D’jean Vasciannie, a graduate student of percussion at the Eastman School of Music, was one of the first 10 students to particpate in the inaugural “Humanities for Life” internship program, connecting students with local nonprofit organizations. 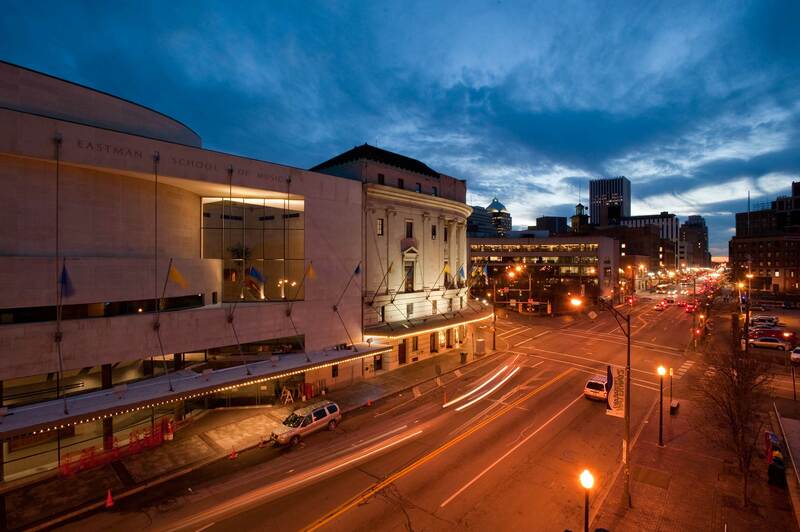 Long regarded as one of the world’s premiere schools of music, the University’s Eastman School of Music’s thriving campus and musical community in the heart of downtown Rochester offers a uniquely inspiring array of artistic, scholarly, and creative opportunities. 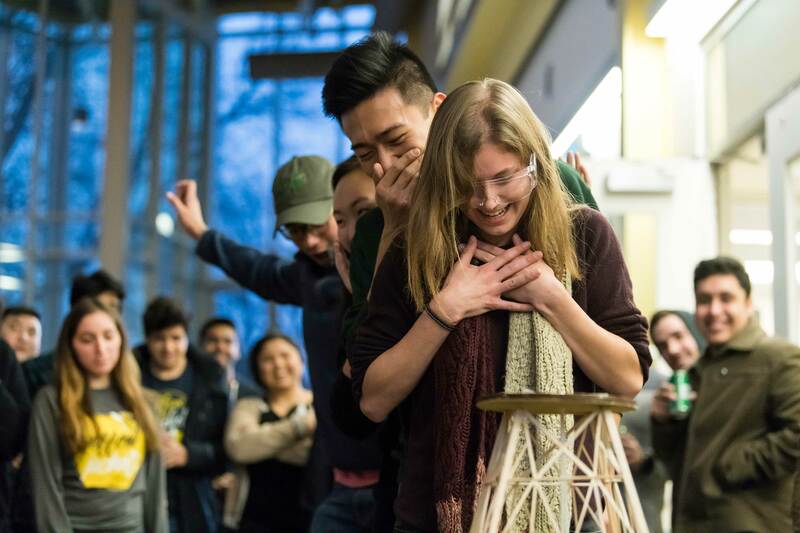 Mechanical engineering students Haley Wohlever ’19, Leo Liu ’19, and Crystal Kim ’19 “walk the plank” in Rettner Hall to see how much force their balsa wood structure can bear before snapping into pieces in this unique capstone to one of the most challenging classes in the engineering curriculum. Donna Strickland ’89 (PhD) and Gérard Mourou received the 2018 Nobel Prize in Physics for work to develop chirped pulse amplification (CPA), research they undertook in the 1980s at the University of Rochester’s Laboratory for Laser Energetics (LLE). 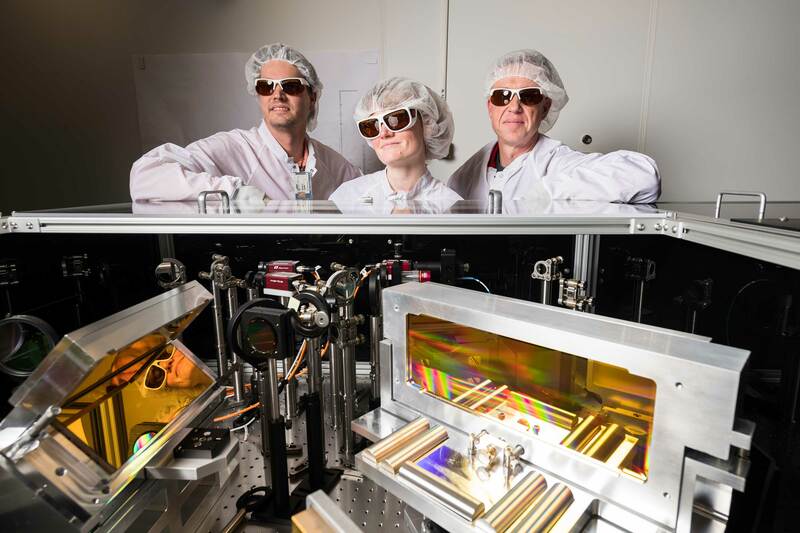 Today, members of the LLE, including Dustin Froula, senior scientist and assistant professor of physics; his PhD student Sara Bucht; and Jake Bromage, senior scientist and associate professor of optics, use CPA in their own research to develop the next generation high-power lasers and to better understand the fundamentals of high-energy-density physics. 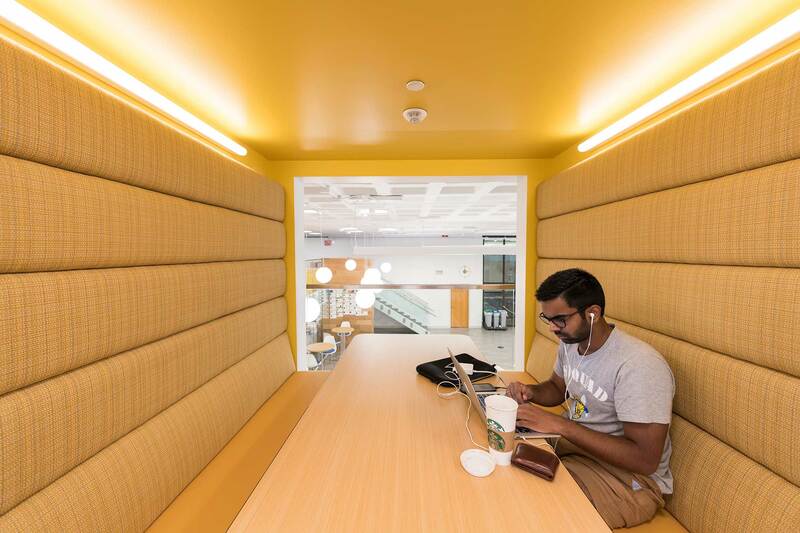 Ethan Warren ’19 works in one of the new booths in the Barbara J. Burger iZone at the River Campus Libraries. 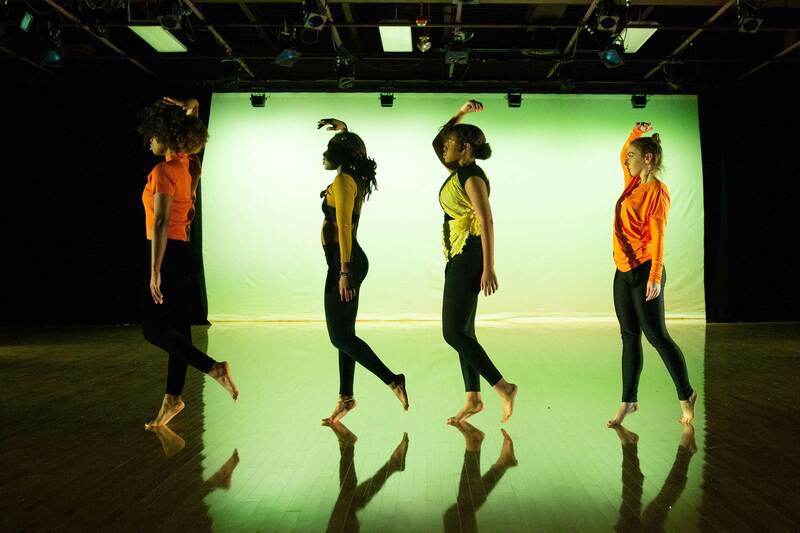 The iZone is a space, a program, and a community in one, providing opportunities for collaboration and entrepreneurship. 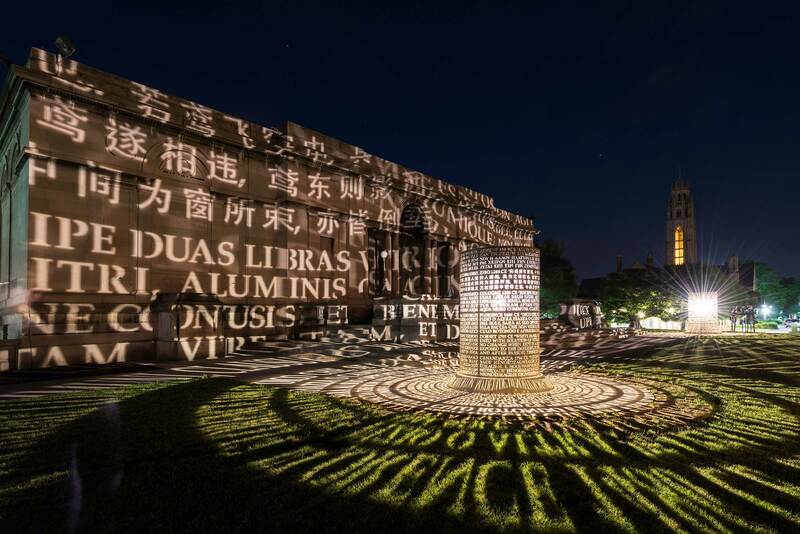 Installed in 2017, artist Jim Sanborn’s Argentum: Double Positive is a permanent addition to the Memorial Art Gallery collection, lighting up the Rochester night with projections onto the MAG’s 1913 building of texts connected to the history of Rochester and the history of photography. 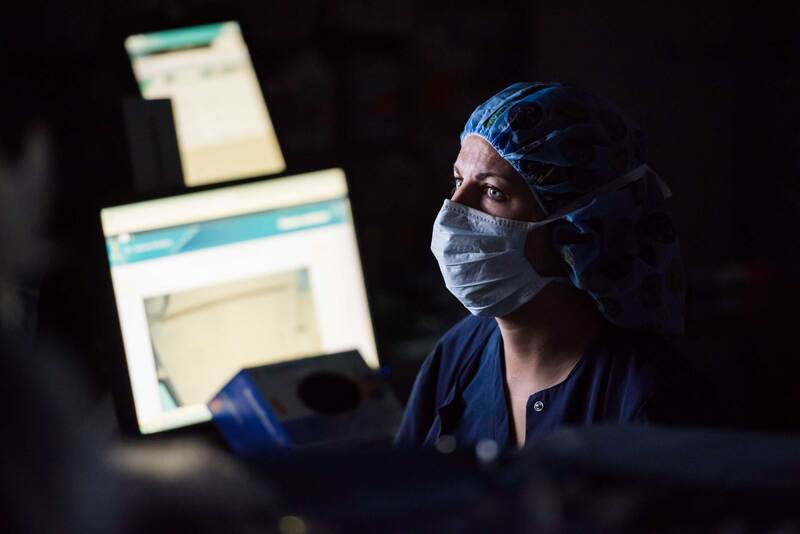 Nurse anesthetist Lisa Wahlers works with a team of University of Rochester Medical Center doctors and nurses to implant a retinal prosthesis or “bionic eye” system, helping the patient regain some sight. 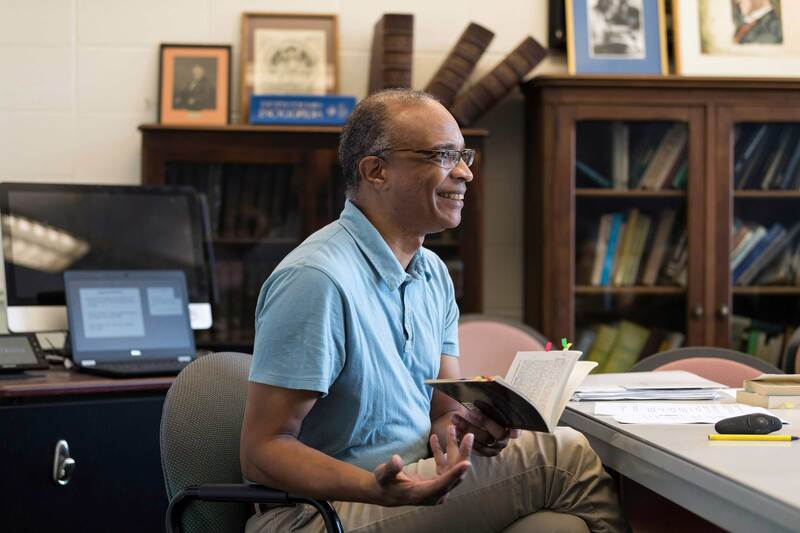 Professor of English Jeffrey Tucker leads a graduate literature class in Morey Hall. The cast members of Revolt. She Said. Revolt Again. pose for a promotional photo. 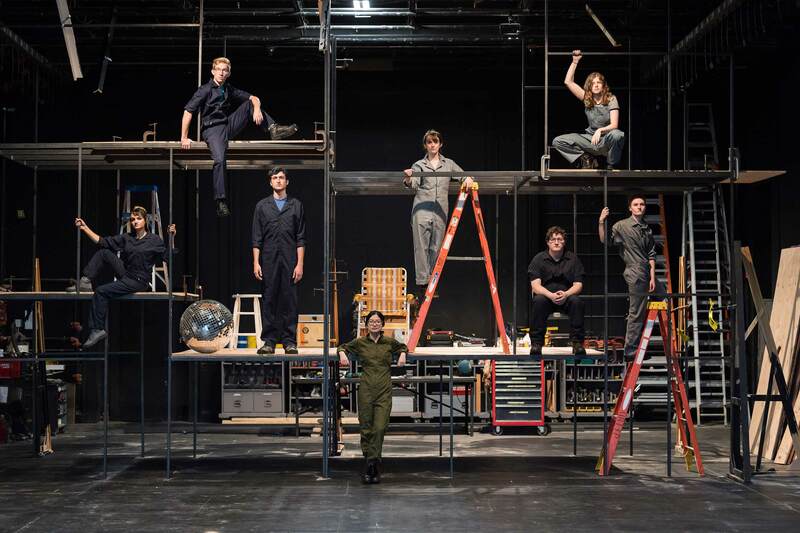 Each year, the International Theatre Program’s productions introduce undergraduate students to both the performance and technical aspects of theater arts. 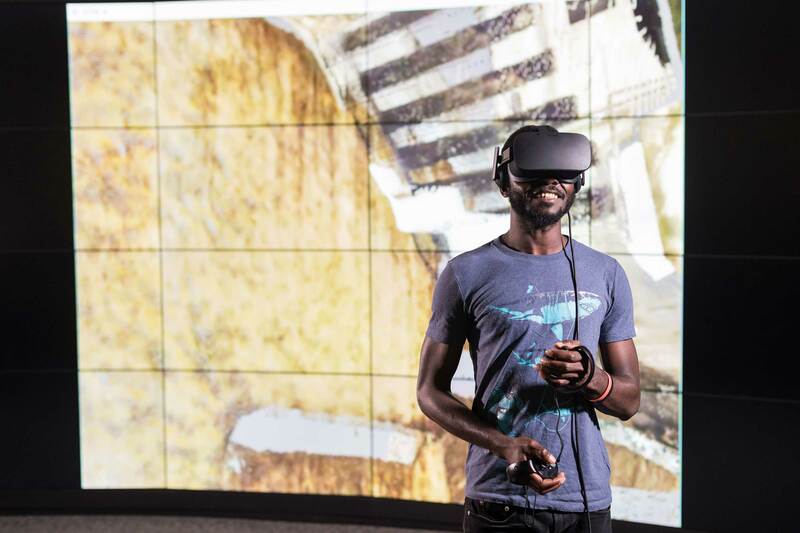 Mechanical engineering student Sebastian Abelezele ’20 uses a virtual reality headset in history professor Michael Jarvis’s digital archaeology workgroup. Yaal Dryer ’20 looks through primary source material during history professor Laura Smoller’s class. 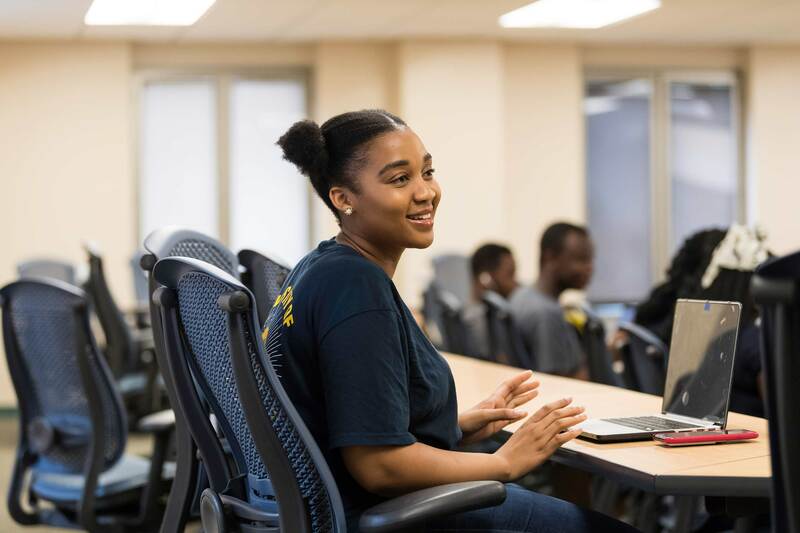 Thandie Ramme ’20, an international relations major, is one of 75 students who have enrolled in the University of Rochester after graduating from the African Leadership Academy, making Rochester the leading destination for graduates of this prestigious academy. 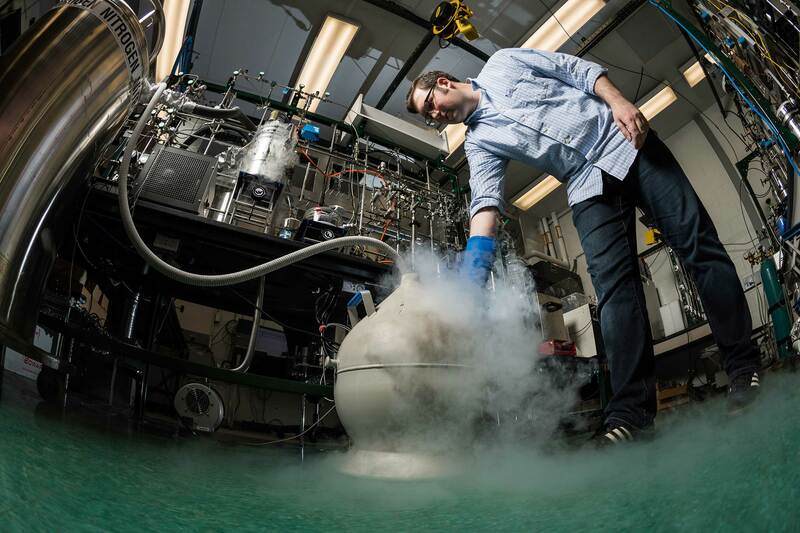 Graduate student Philip Place fills a container with liquid nitrogen to trap sample gas in the lab of earth and environmental sciences professor Vasilii Petrenko. In the Ice Core Lab, researchers analyze 50,000-year-old ice for clues about the past and future of climate change.